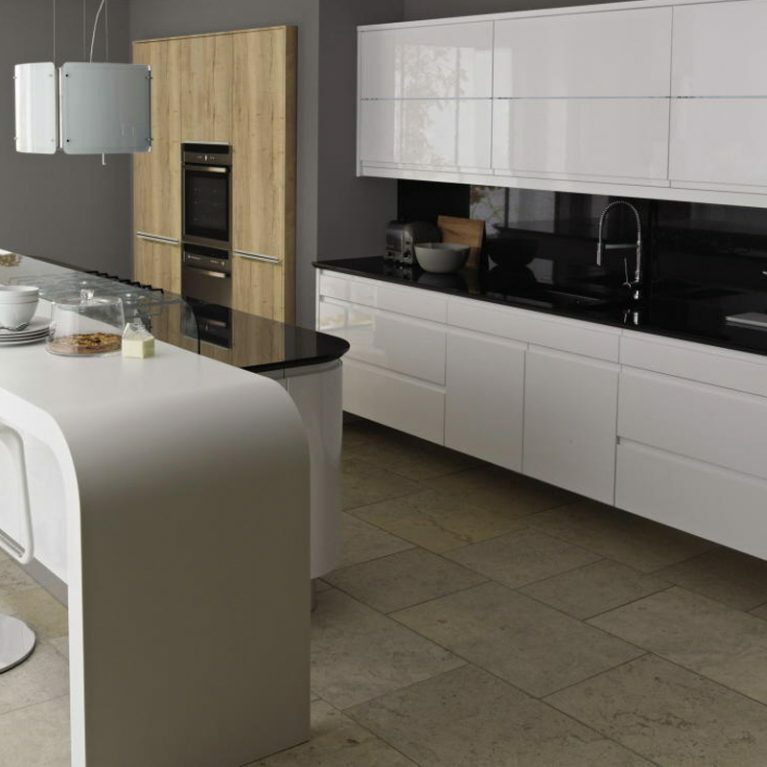 Clean, crisp and sharp. 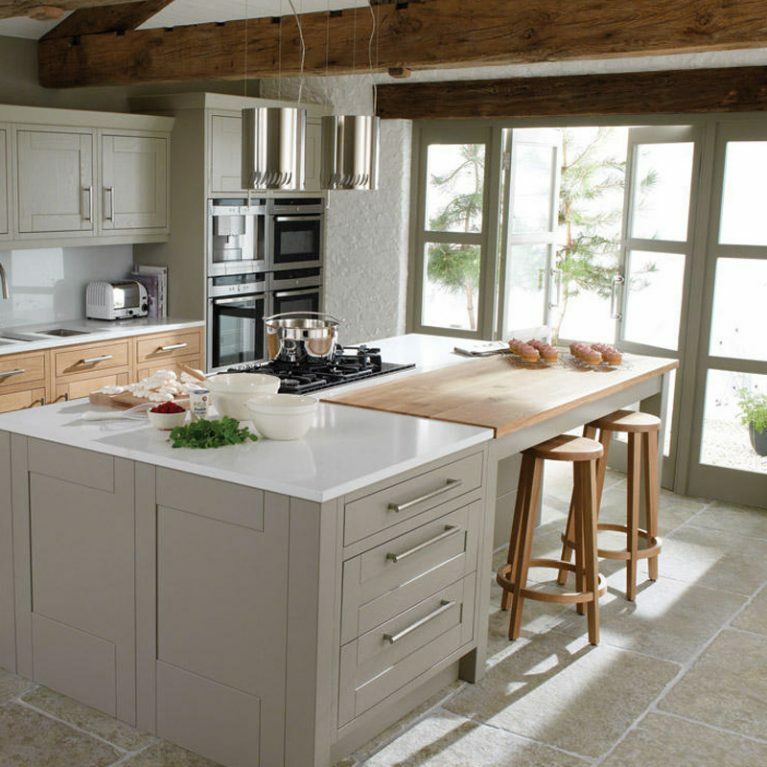 These are the perfect 3 adjectives to describe the stunning Milbourne Chalk kitchen available from Number One Kitchens, Manchester’s most trusted kitchen providers. 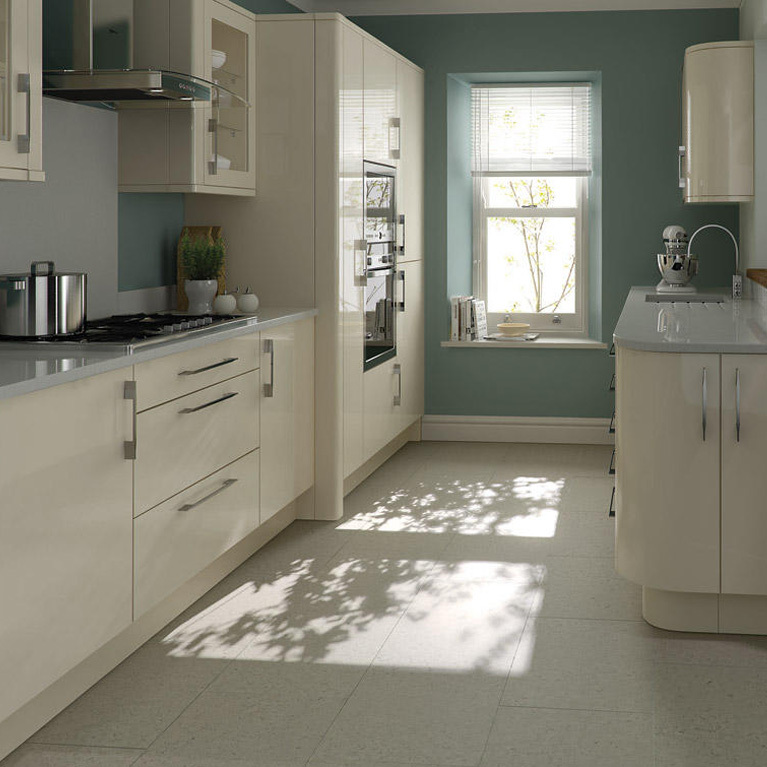 ‘Chalk’ is a stunning and striking shade of gleaming white, which adds a beautiful light and bright feel to your kitchen space. 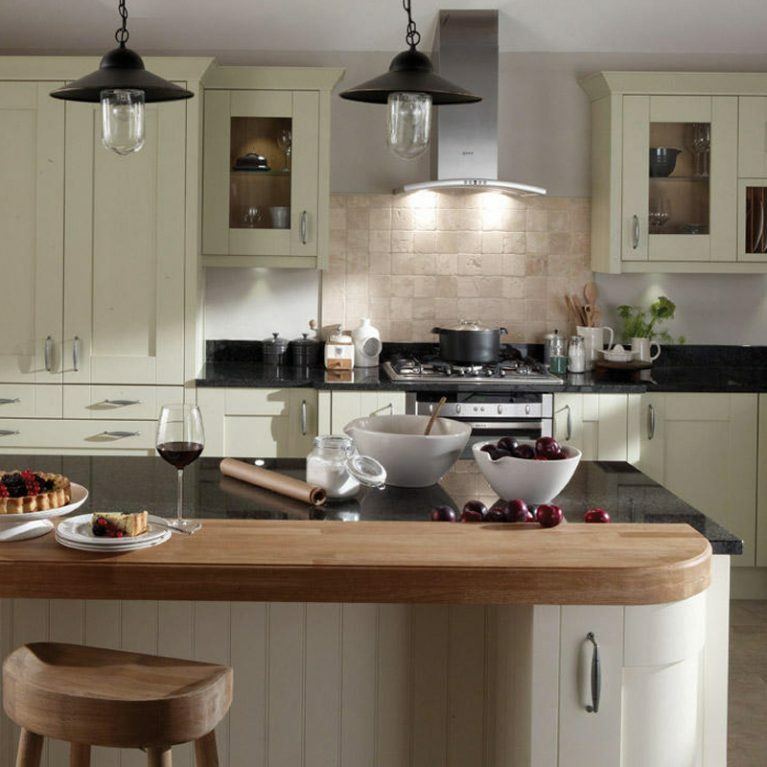 Particularly special when met with sunlight, but equally brightening in the darker winter months, the Milbourne Chalk Kitchen truly makes your kitchen space seem bigger with the light ambience. 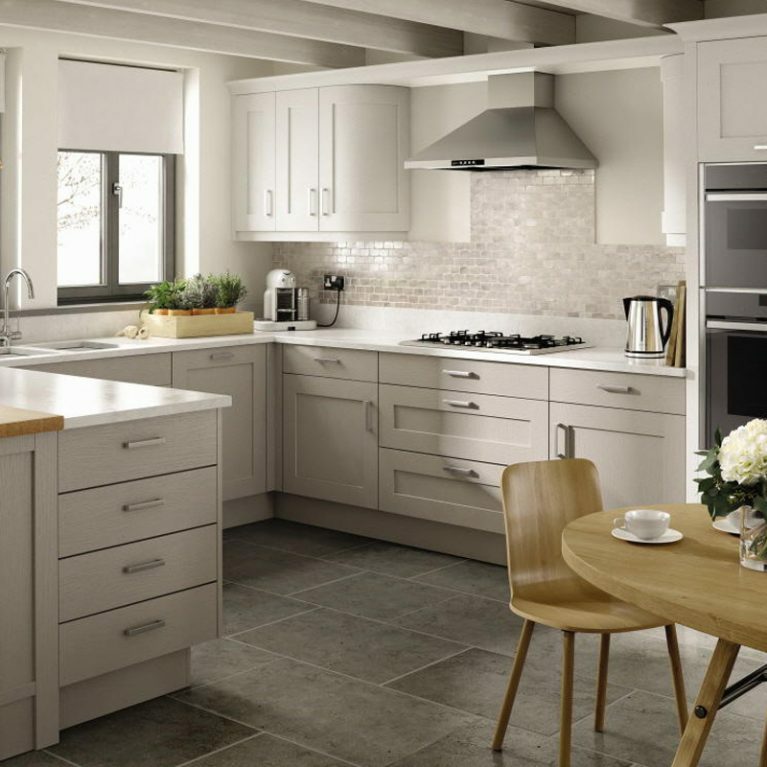 White is an incredibly versatile colour to build your kitchen design upon. 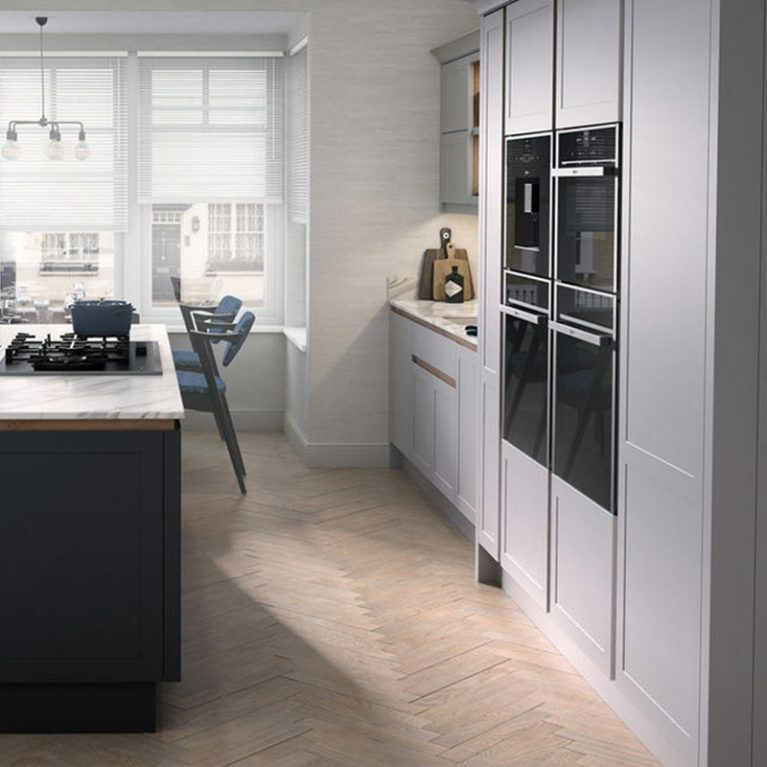 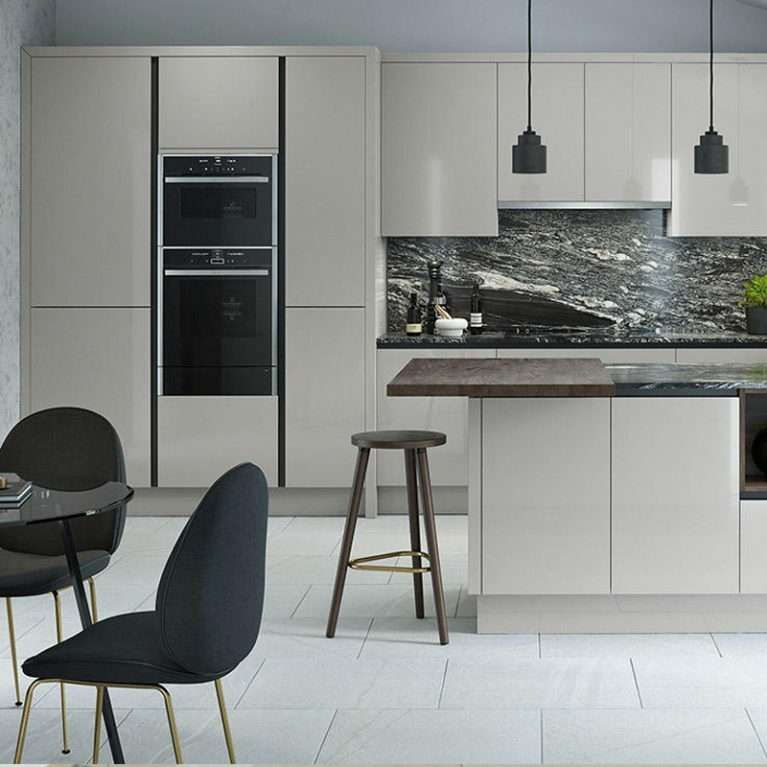 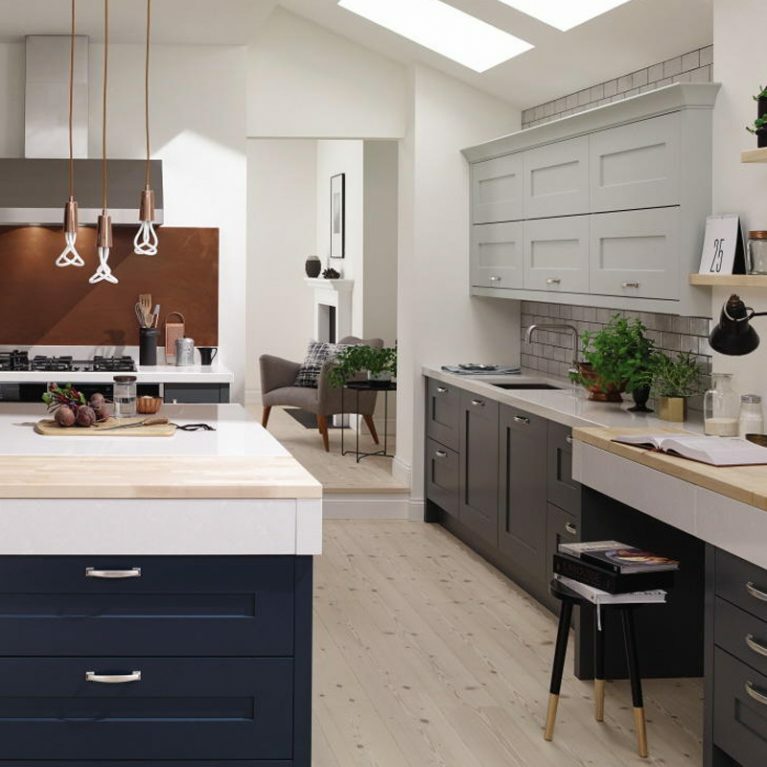 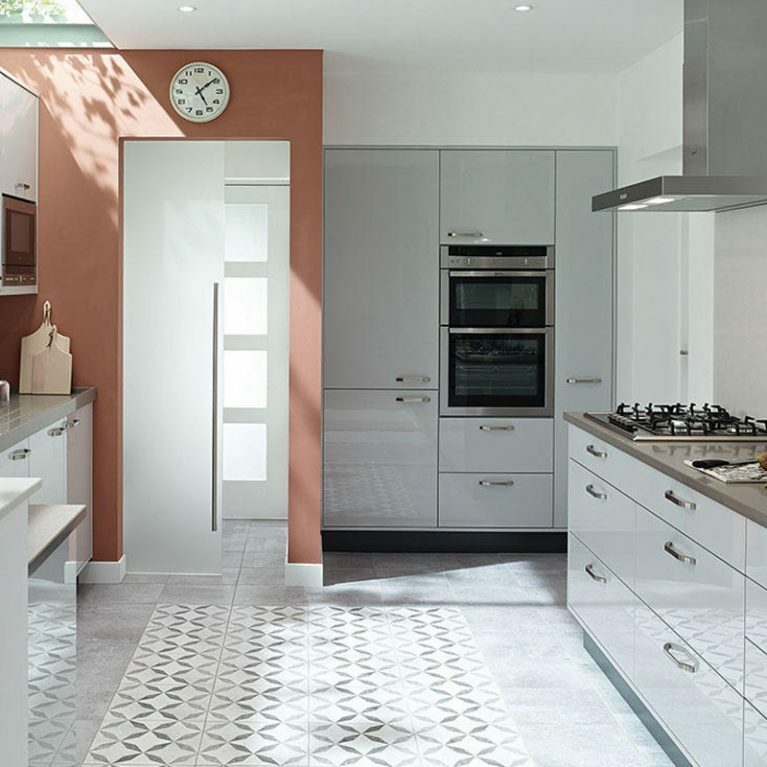 Matching with any colour or shade, you’ll be able to craft the kitchen of your dreams with a little help from Number One Kitchens. 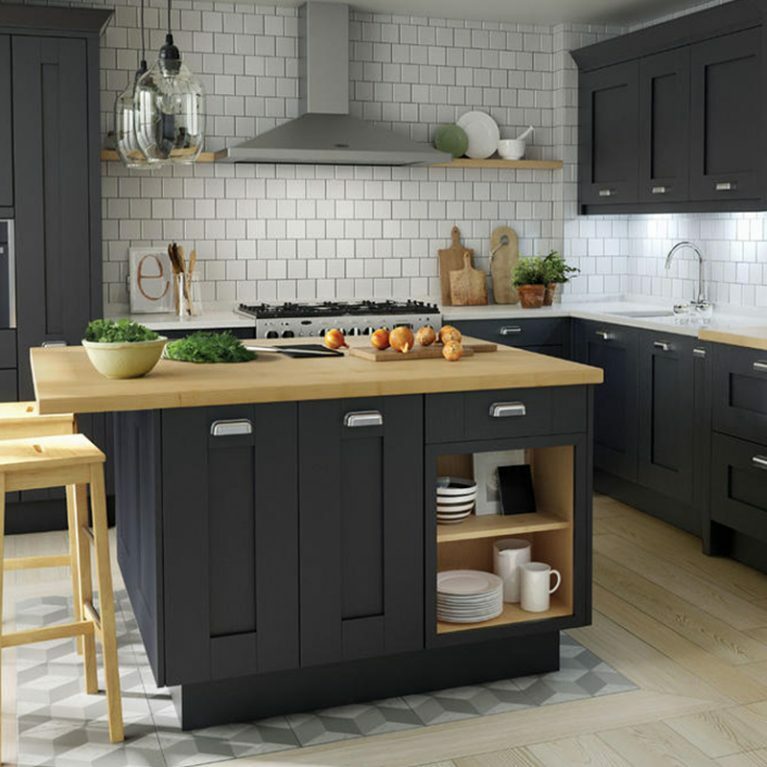 You’ll have 27 stunning matte paint shades to choose from, allowing you to customise the Milbourne until it’s perfectly meeting your needs. 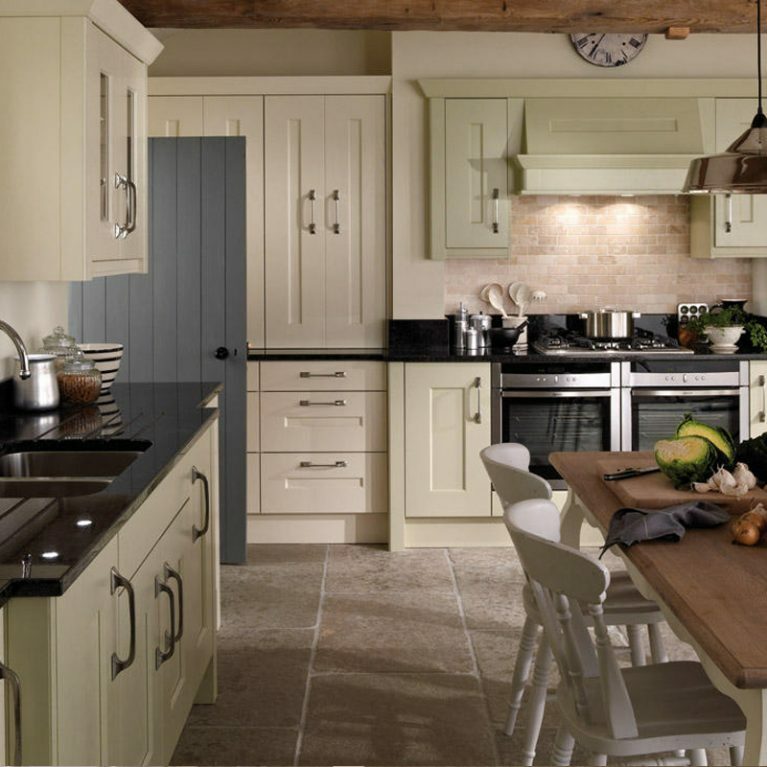 Your Milbourne Chalk kitchen is finished with gorgeous wood-effect counters which contrast the chalk white shade perfectly. 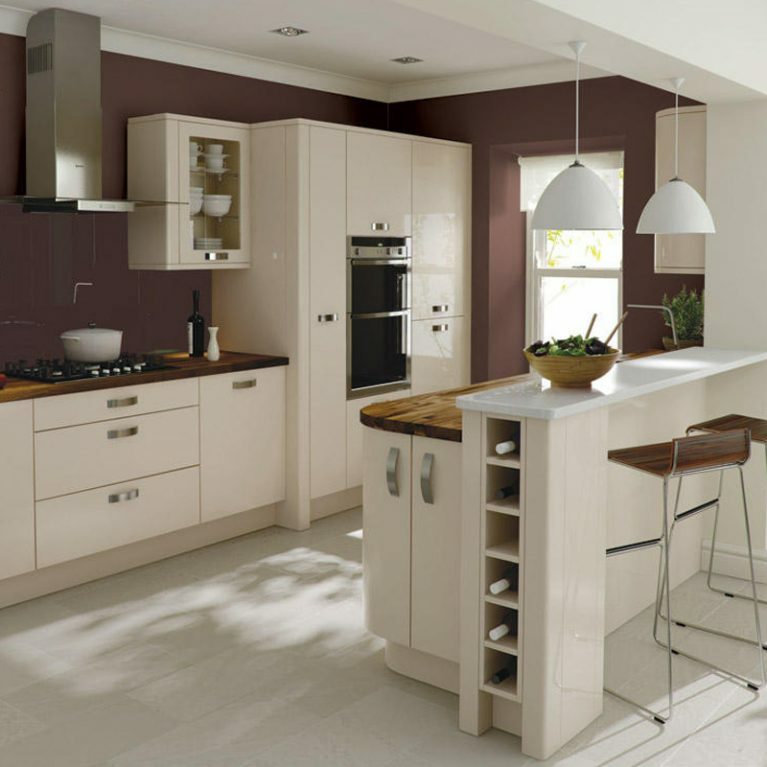 It adds a classy and mature finish, creating a striking neutral colour palette. 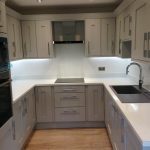 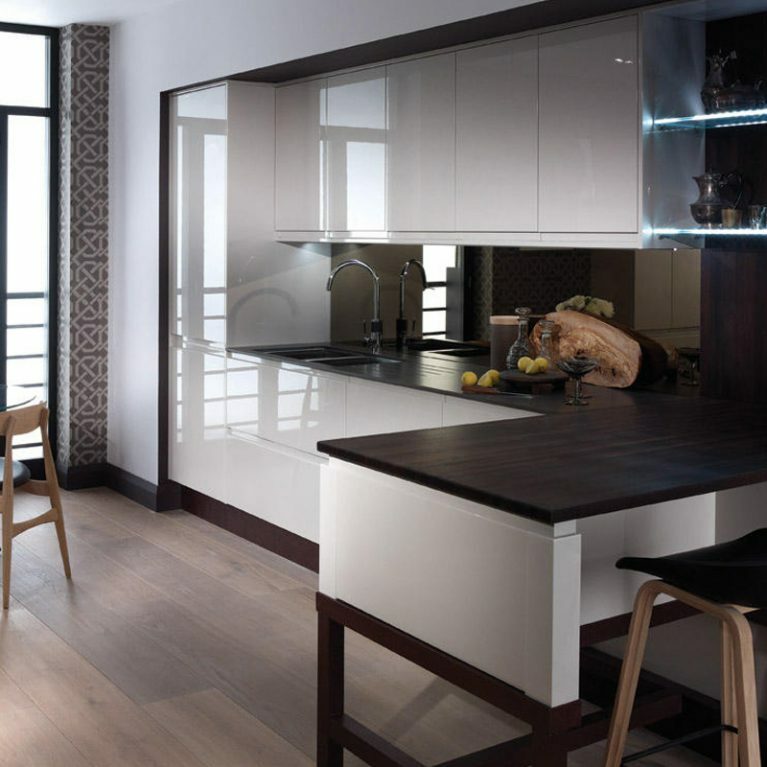 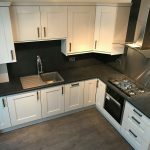 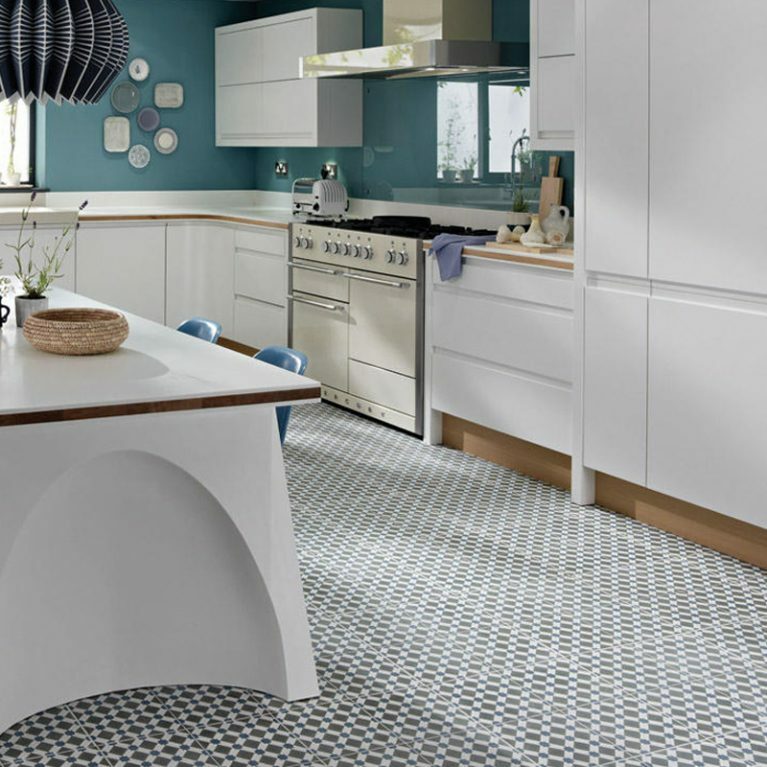 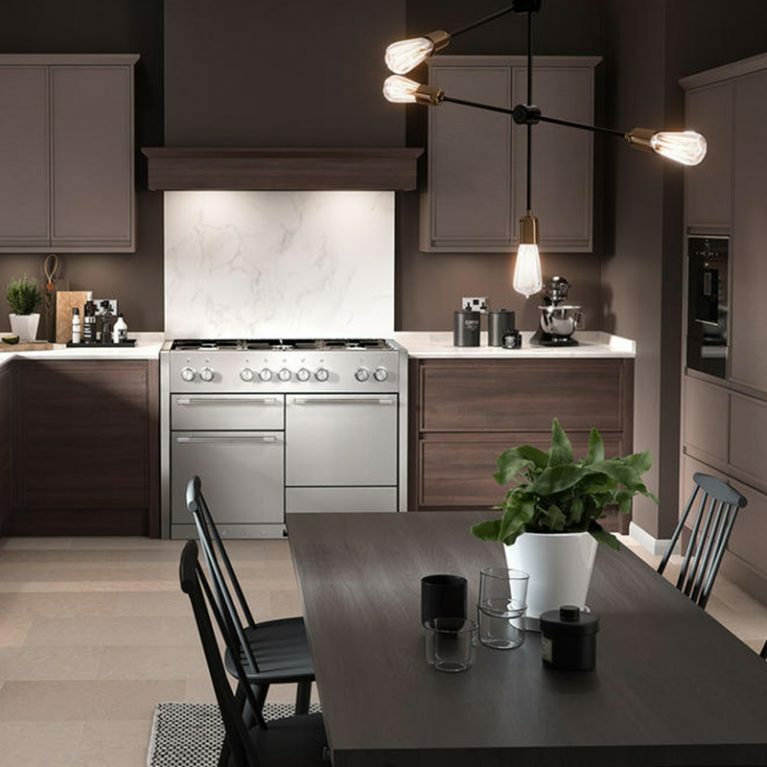 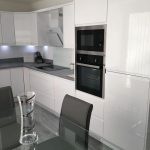 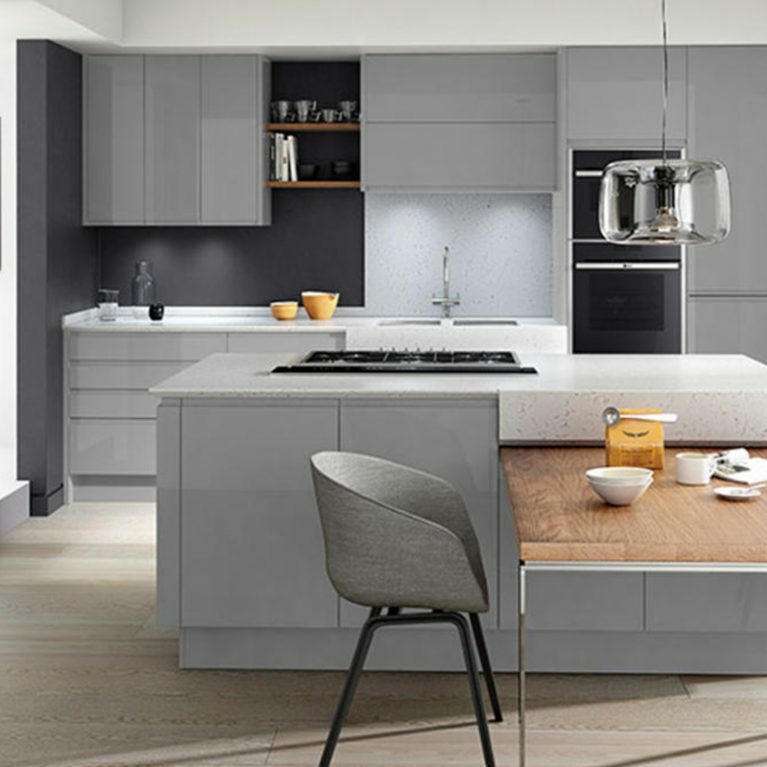 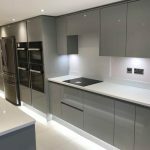 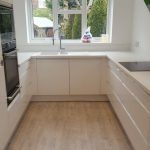 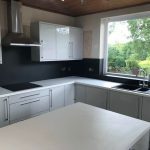 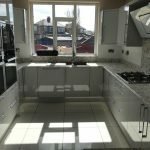 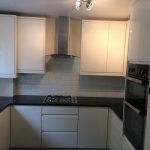 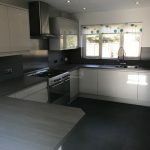 However, you can choose whichever worktop surfaces you like, with options to choose something a little more bold for a stand-out look, or something in more of a neutral hue for a seamless end result. 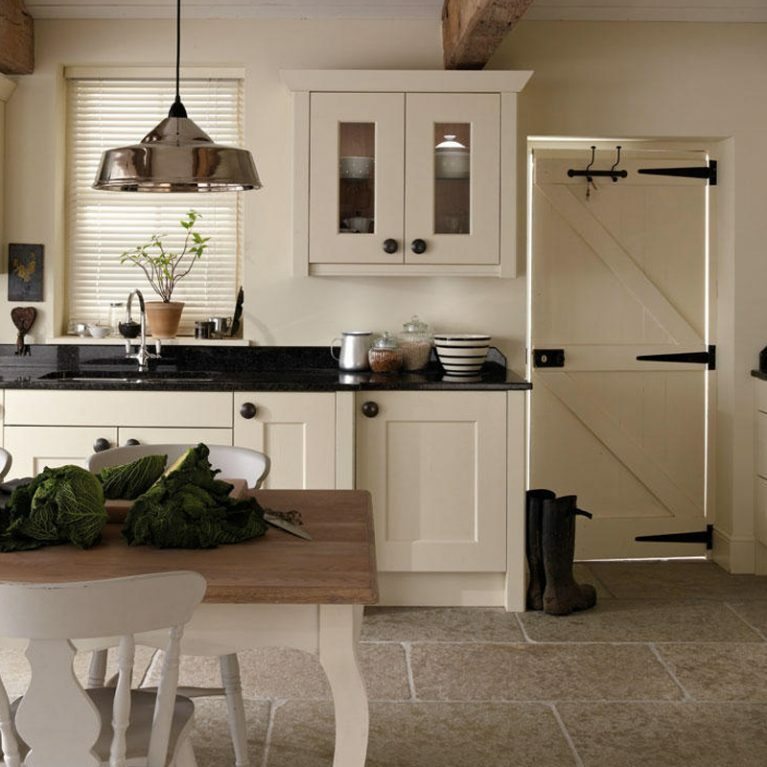 The Milbourne Chalk kitchen is finished with incredible shaker kitchen cupboard doors, with a wonderful chunky frame for a contemporary look and feel. 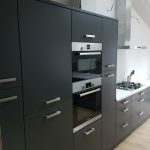 Finished with narrow chrome handles for a pop of modern to your kitchen design, you’ve got a wonderful end result that is both classic and contemporary at the same time. 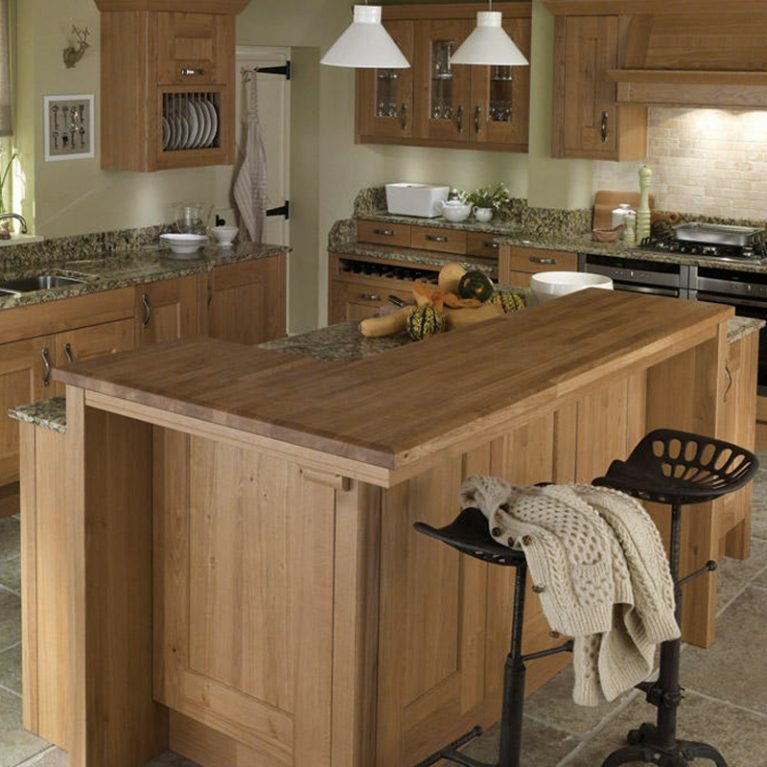 There’s optimum storage available with this classic shaker style kitchen design. 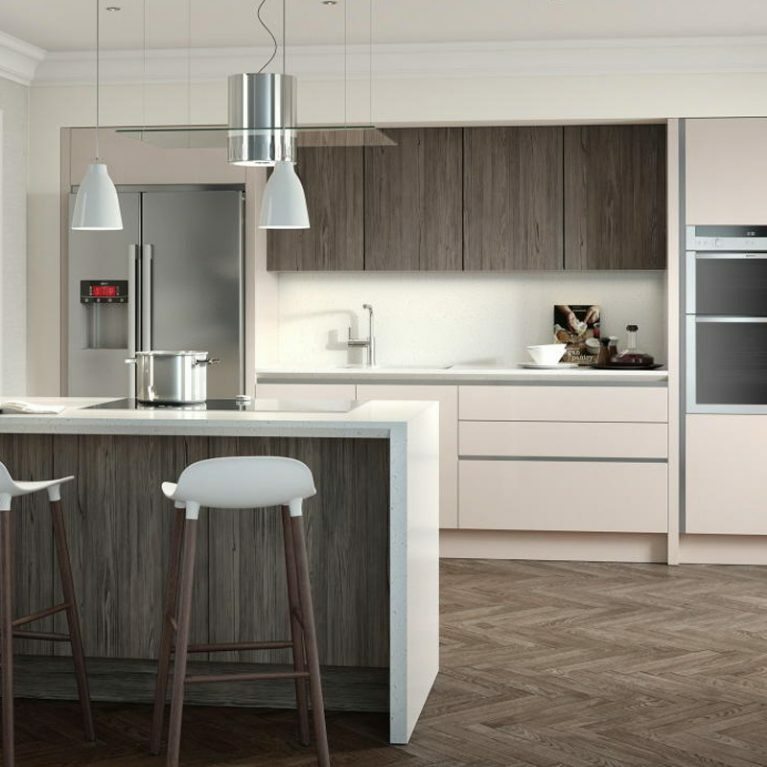 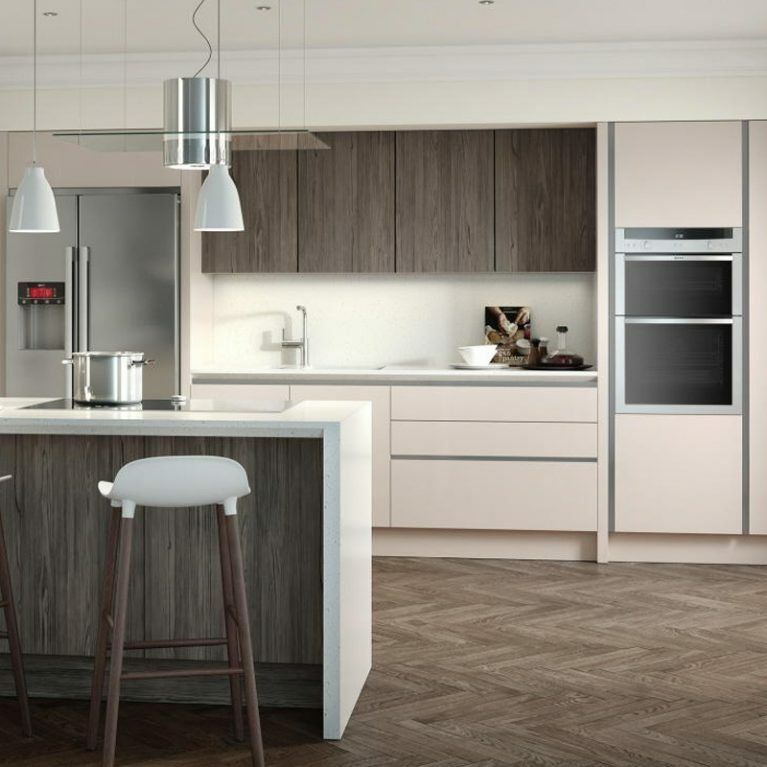 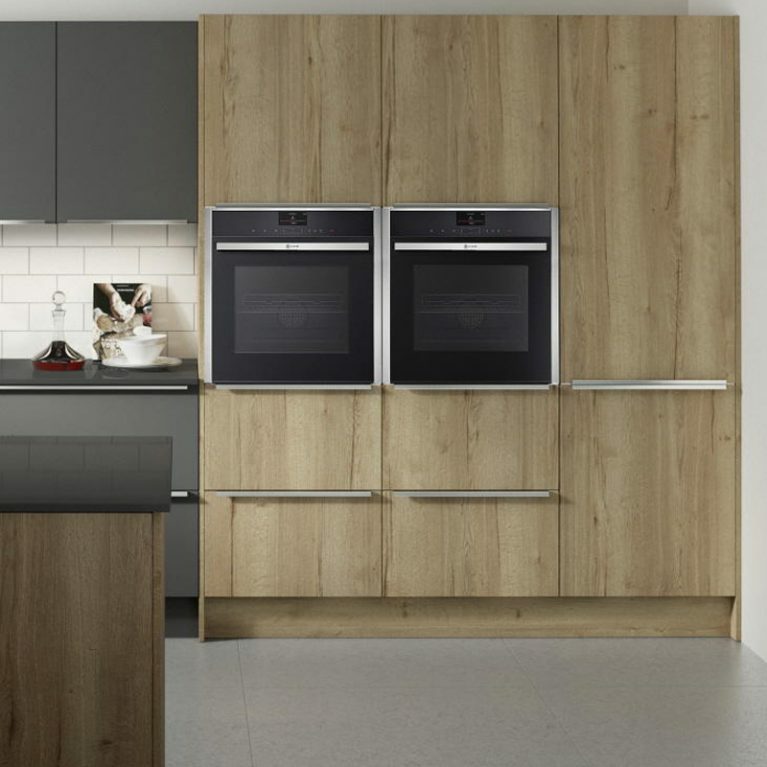 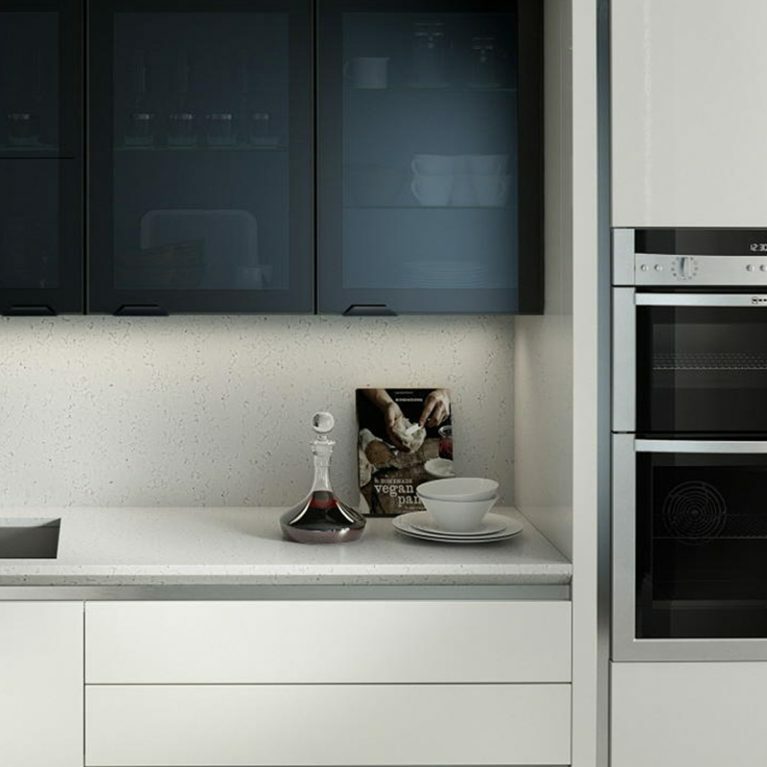 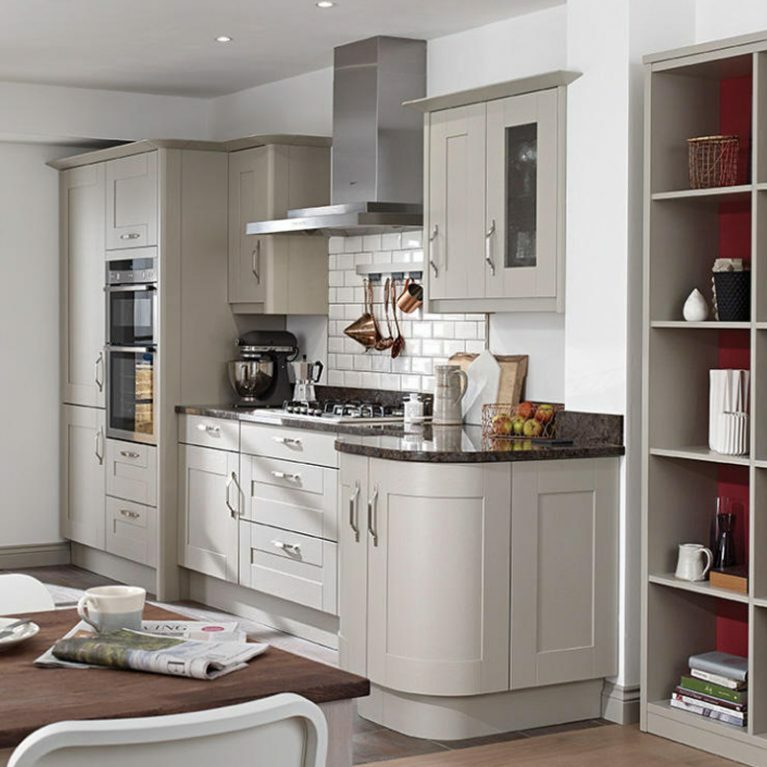 There are upper and lower cupboards, drawers and extra storage, ensuring all of your kitchen accessories have a home to live in, without cluttering up your beautiful new kitchen design. 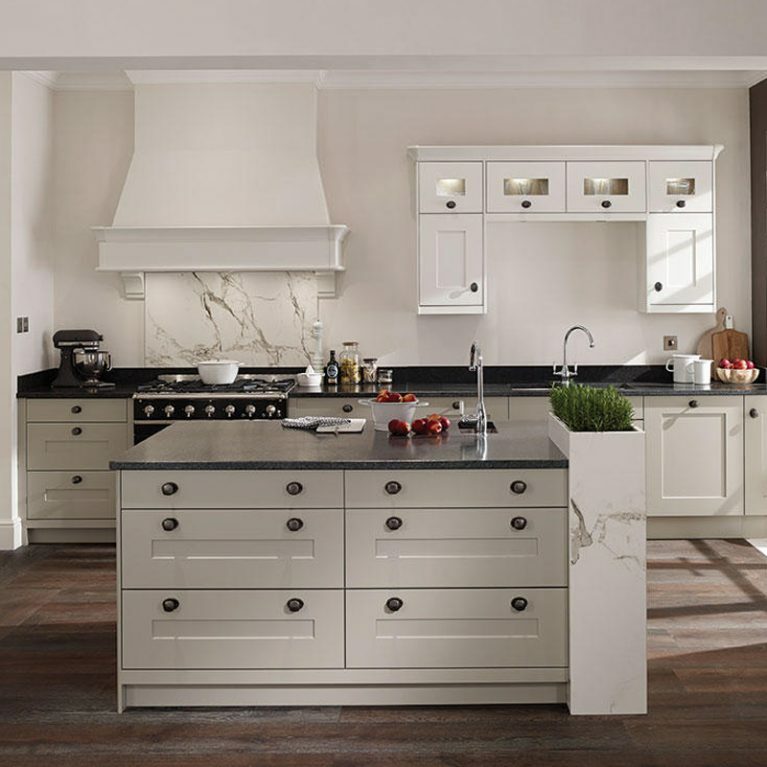 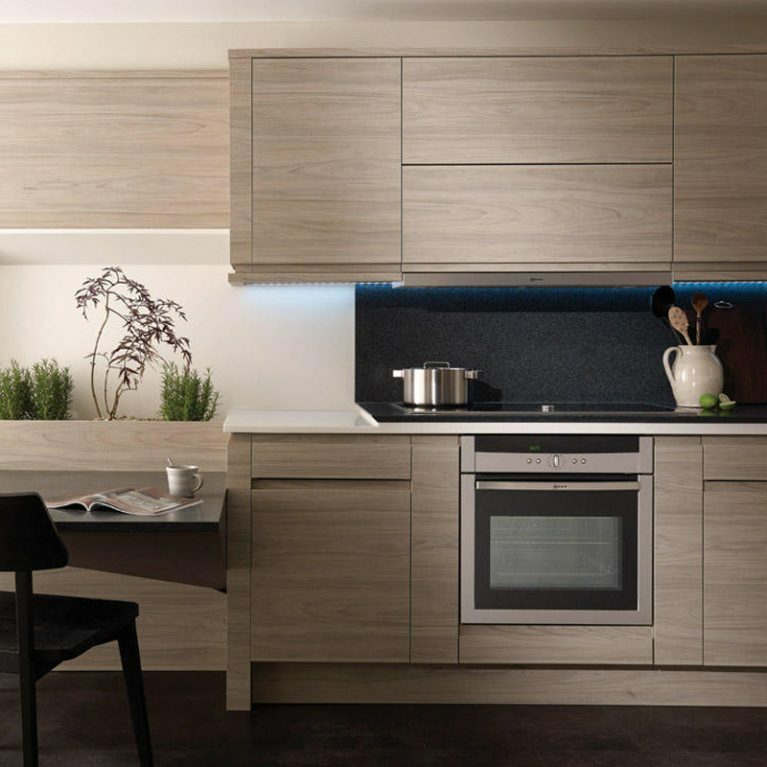 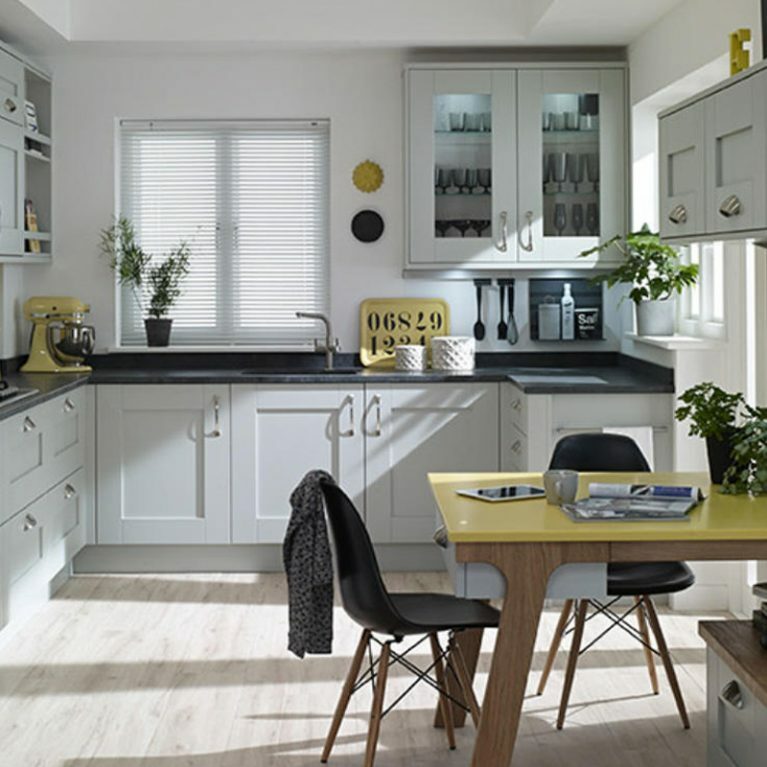 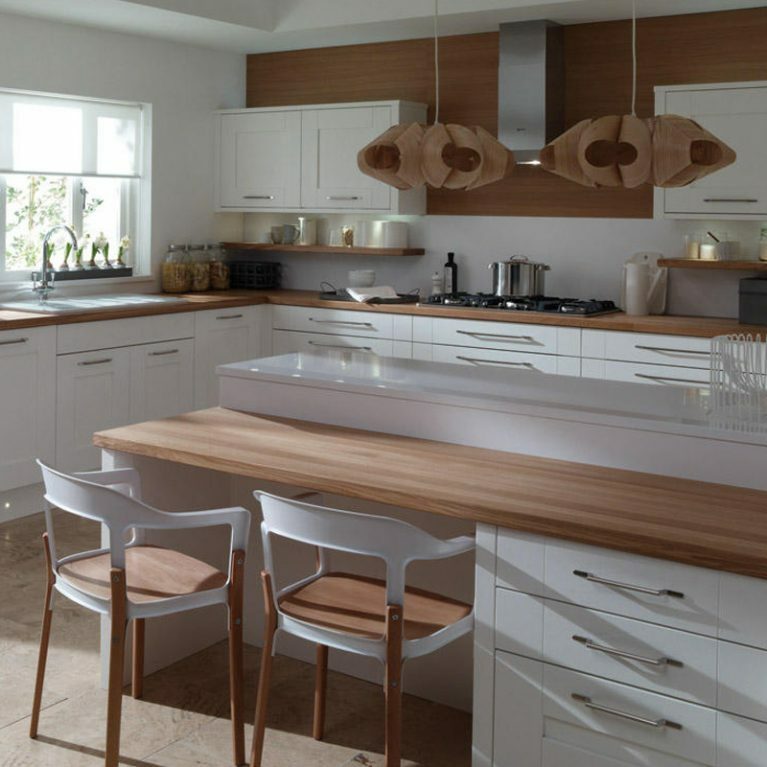 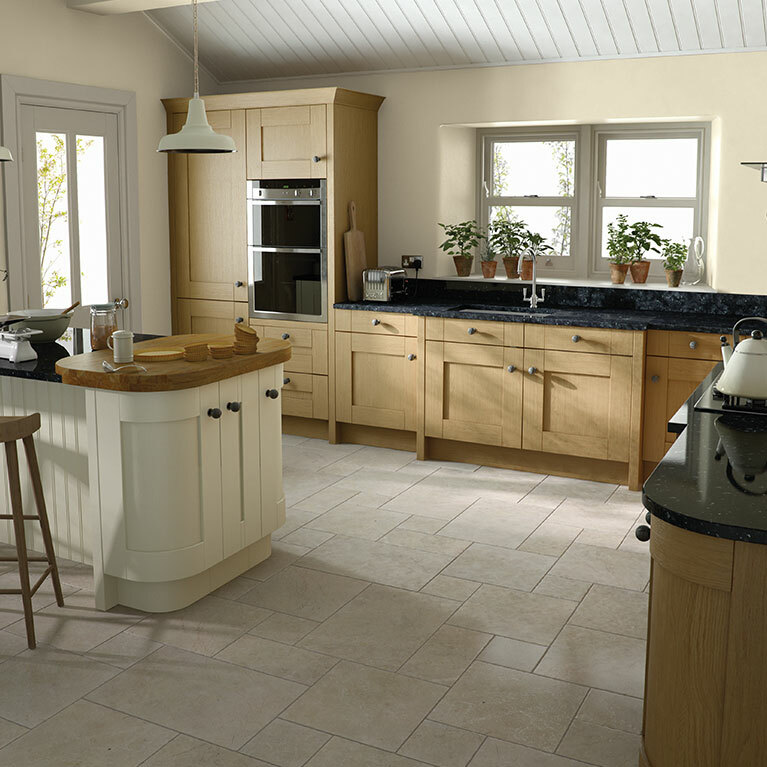 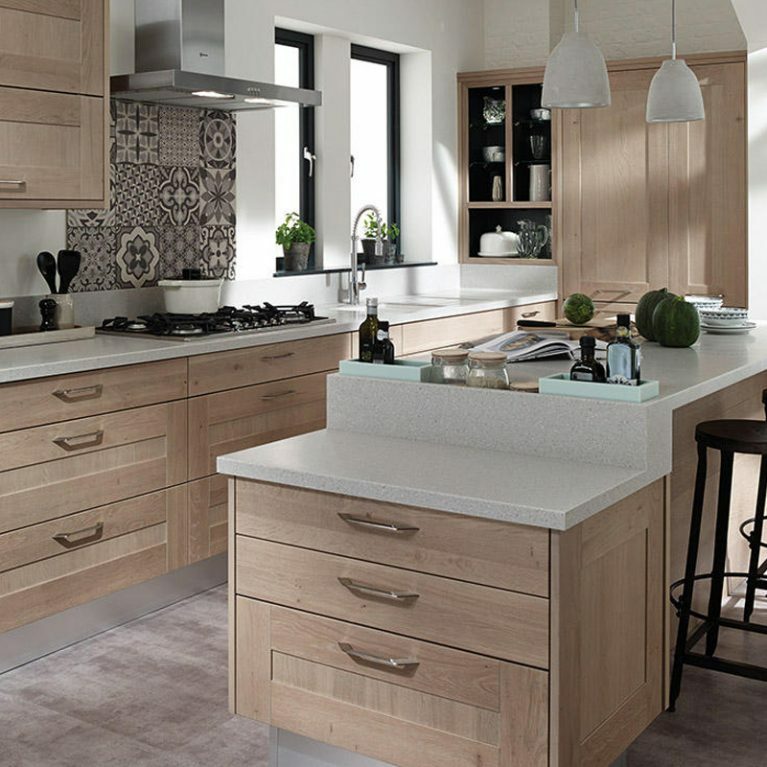 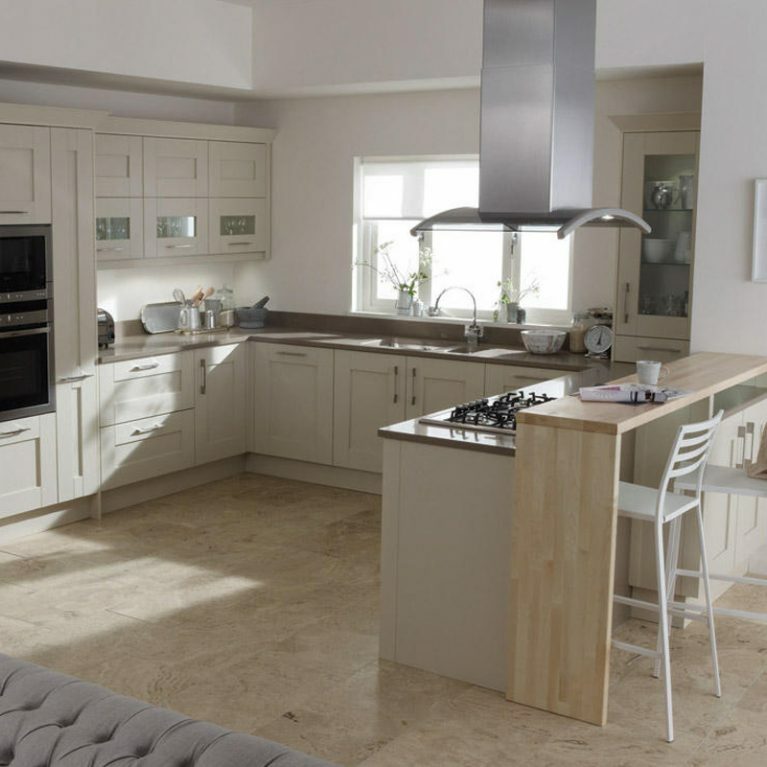 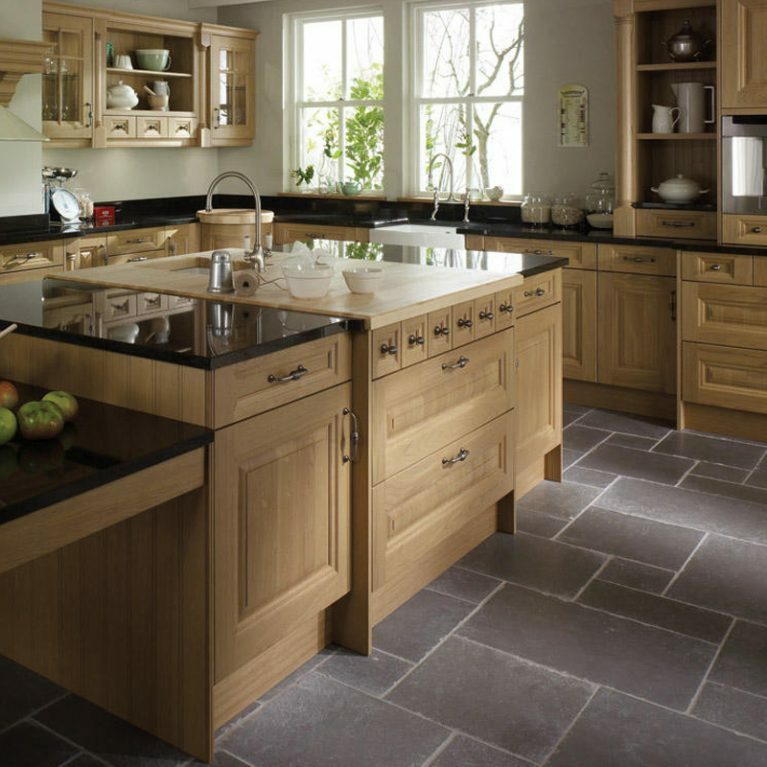 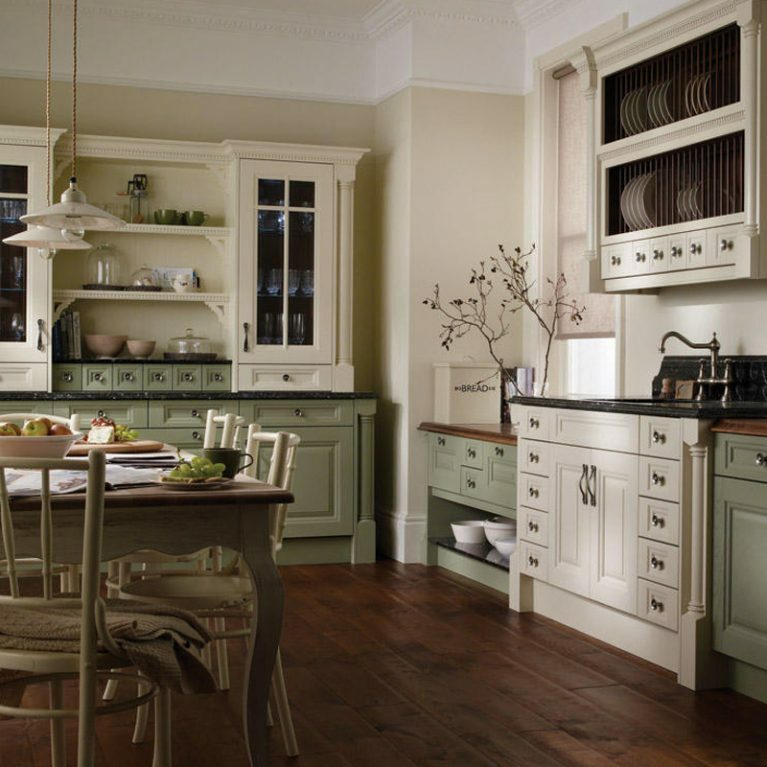 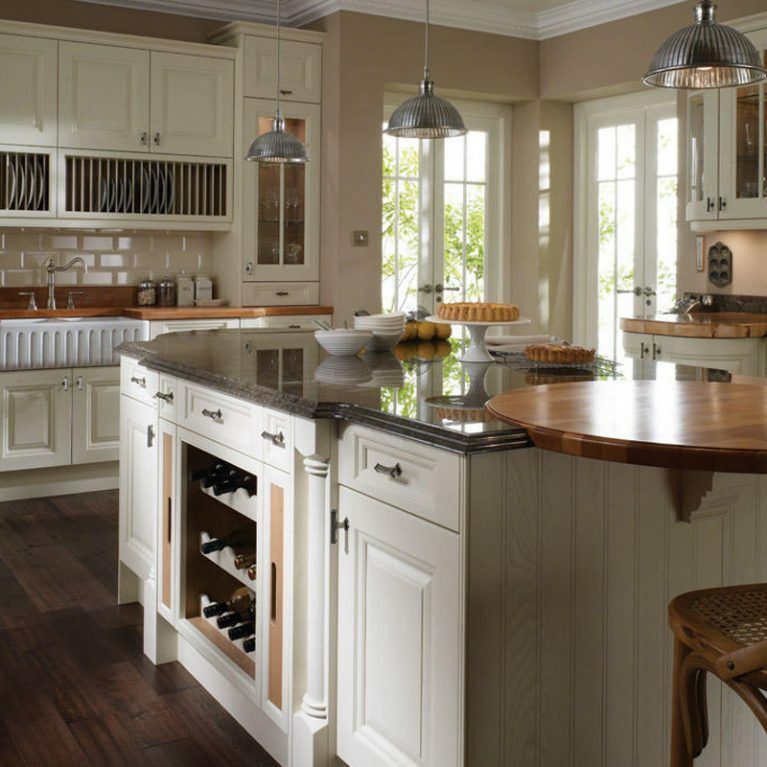 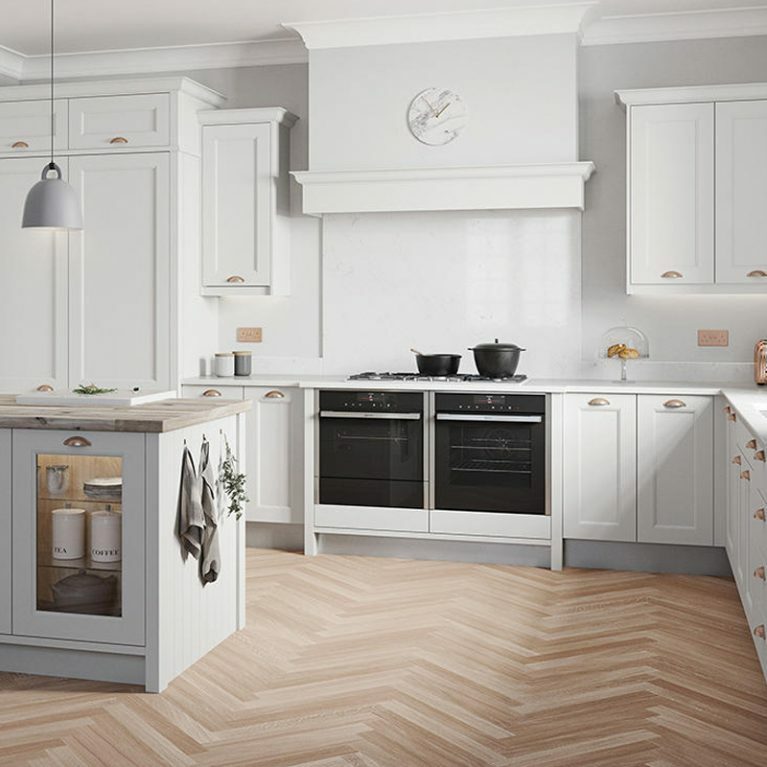 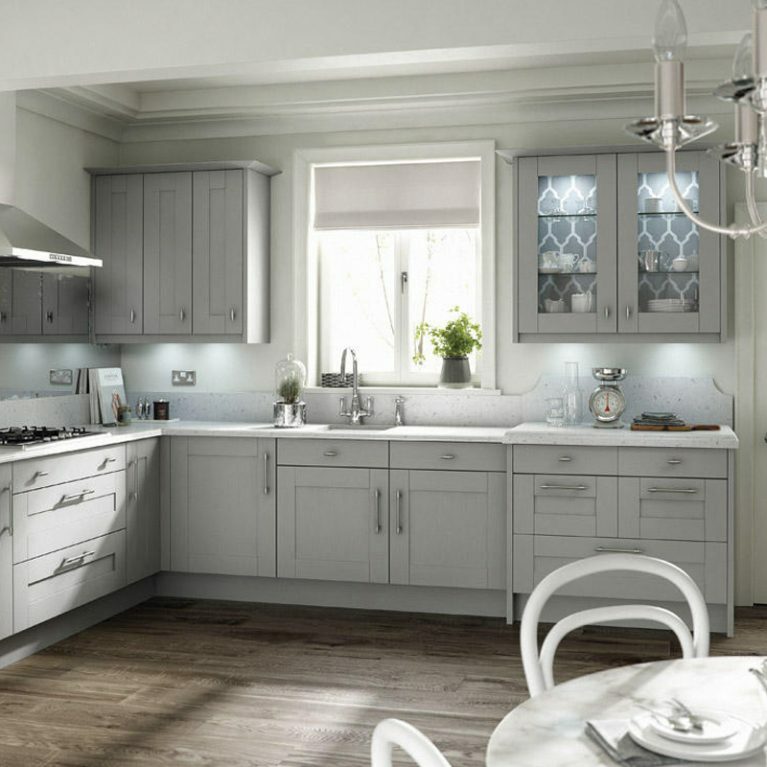 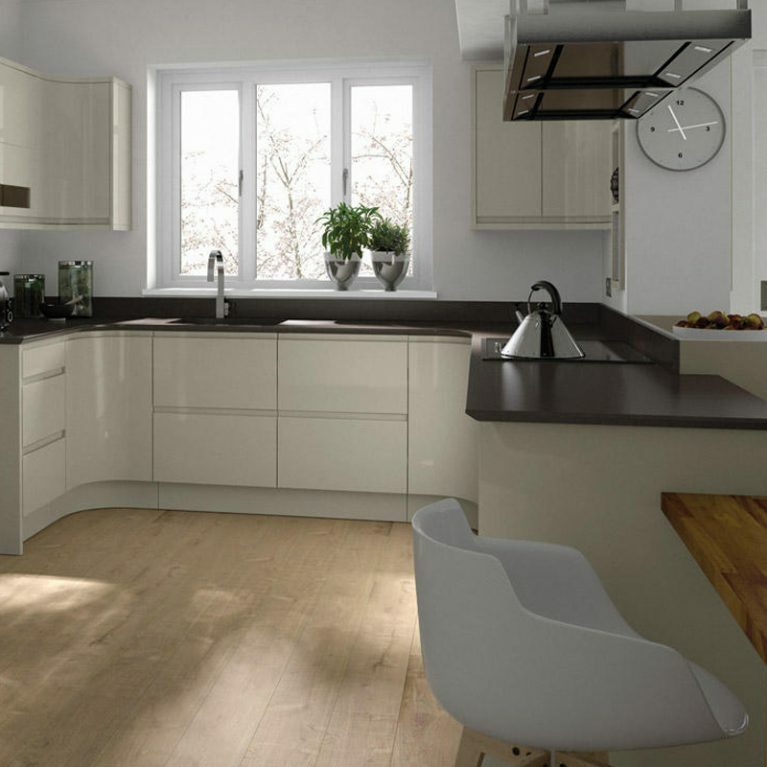 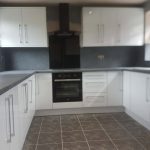 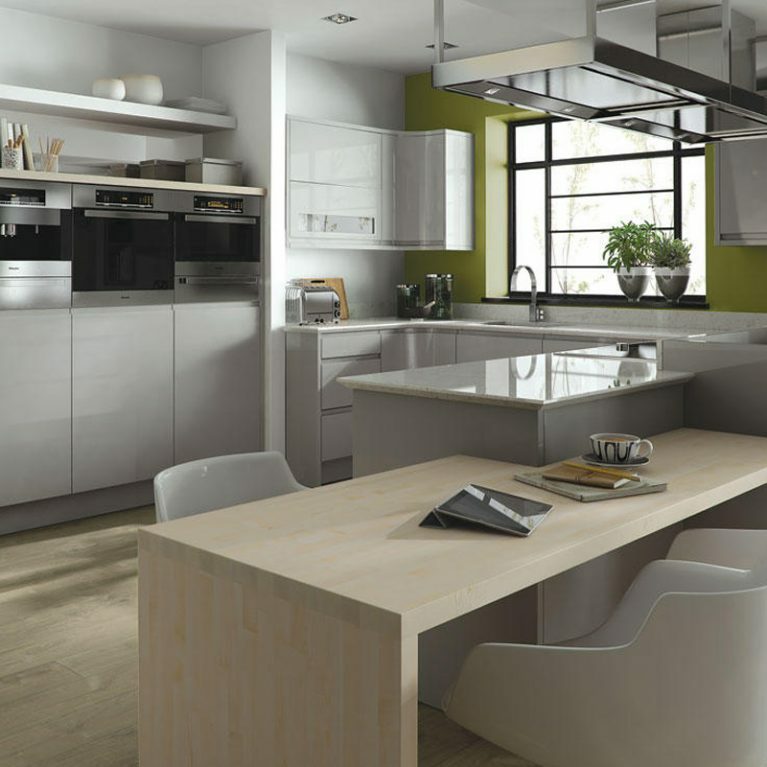 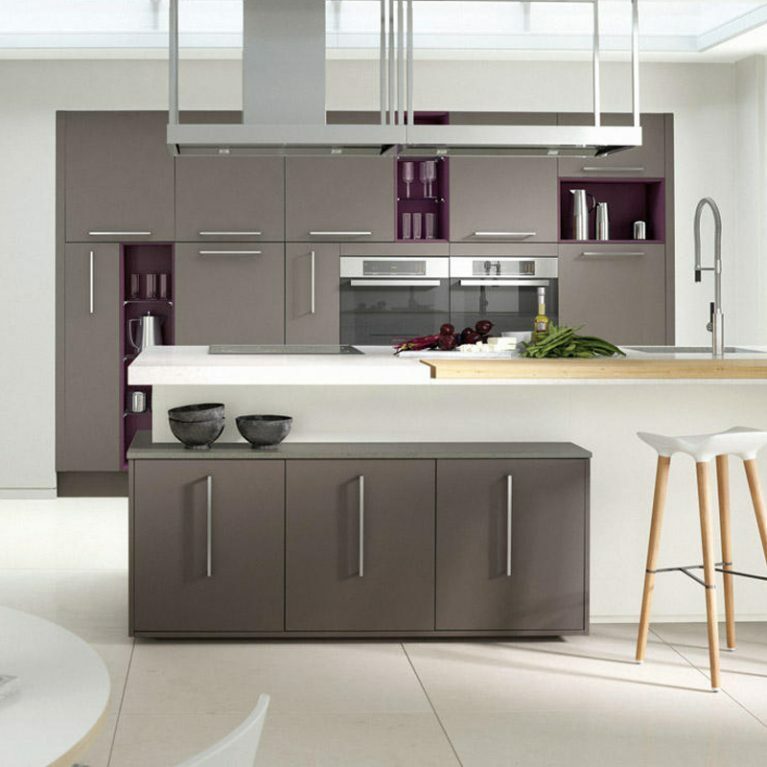 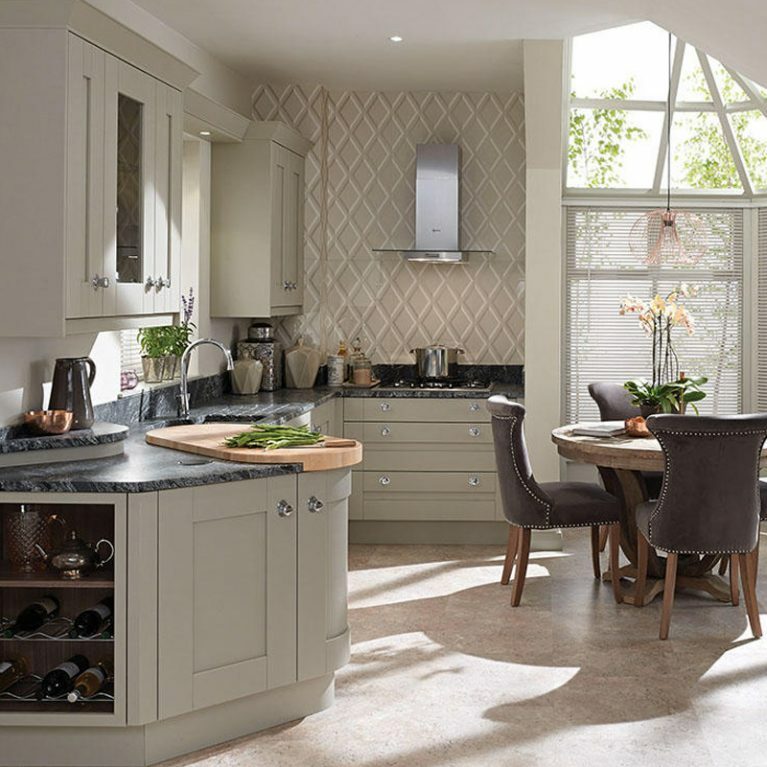 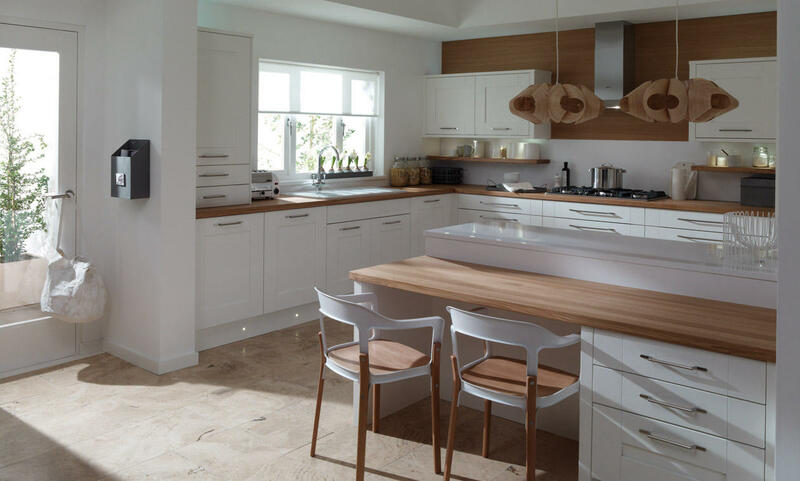 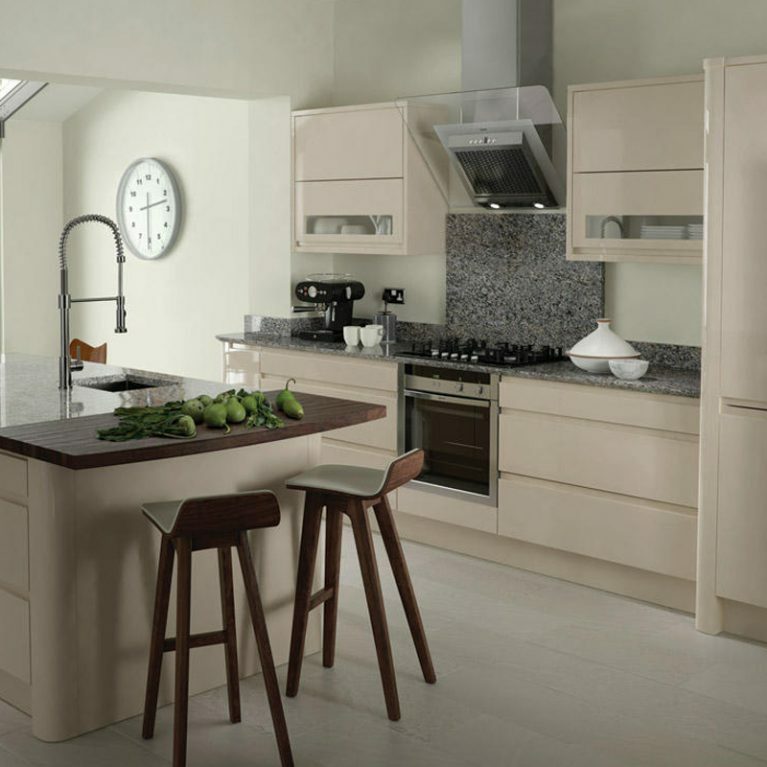 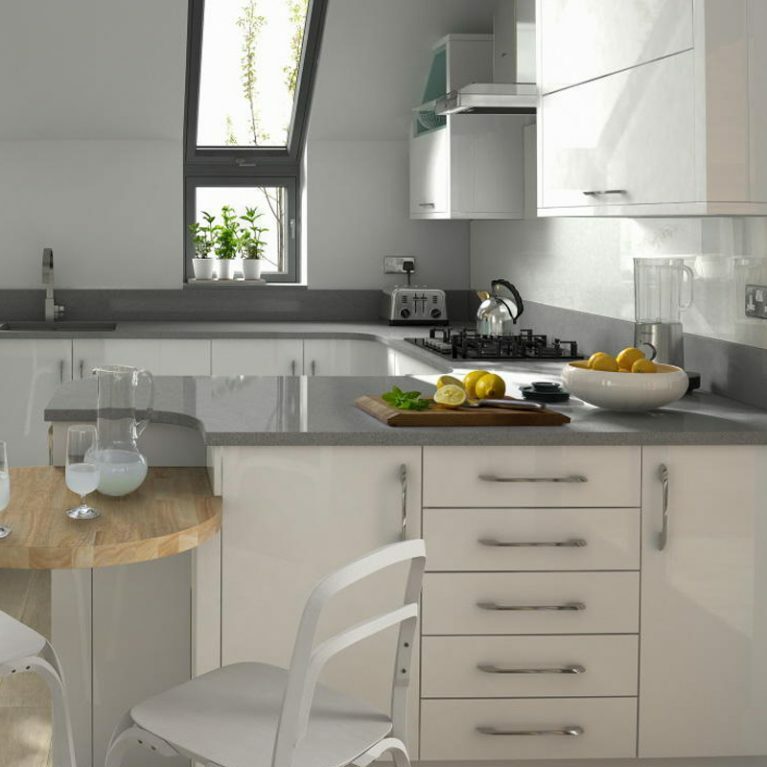 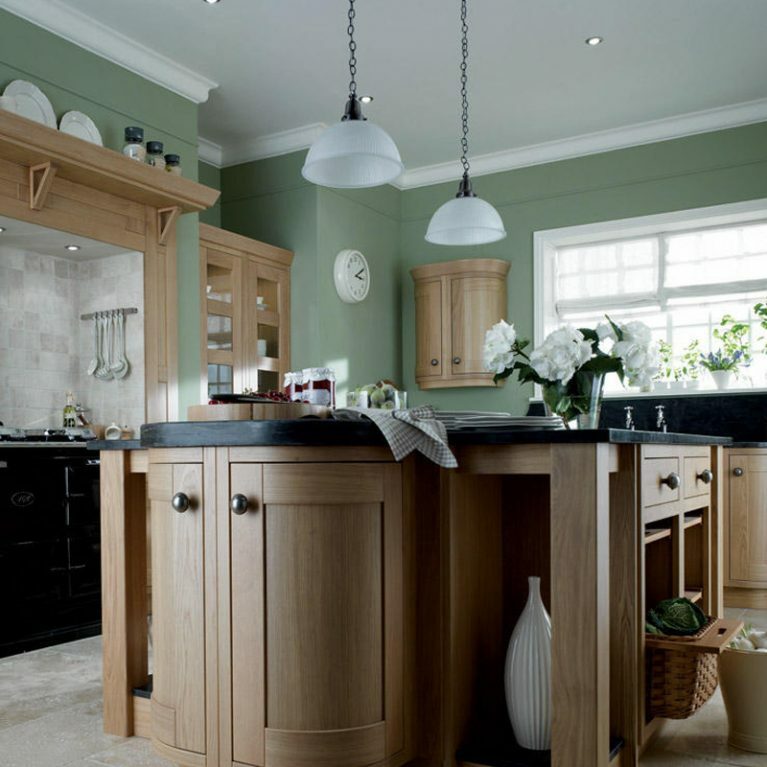 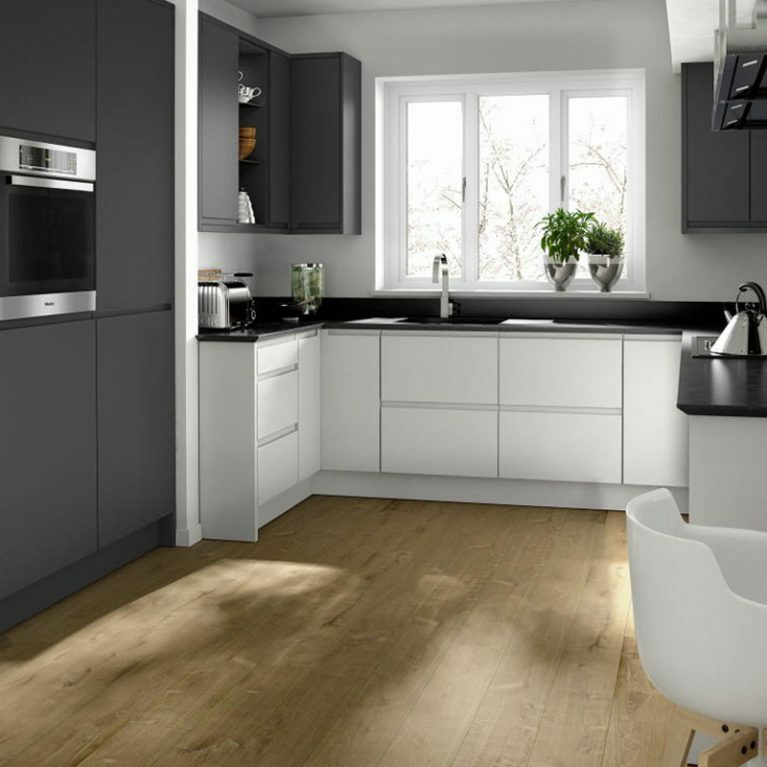 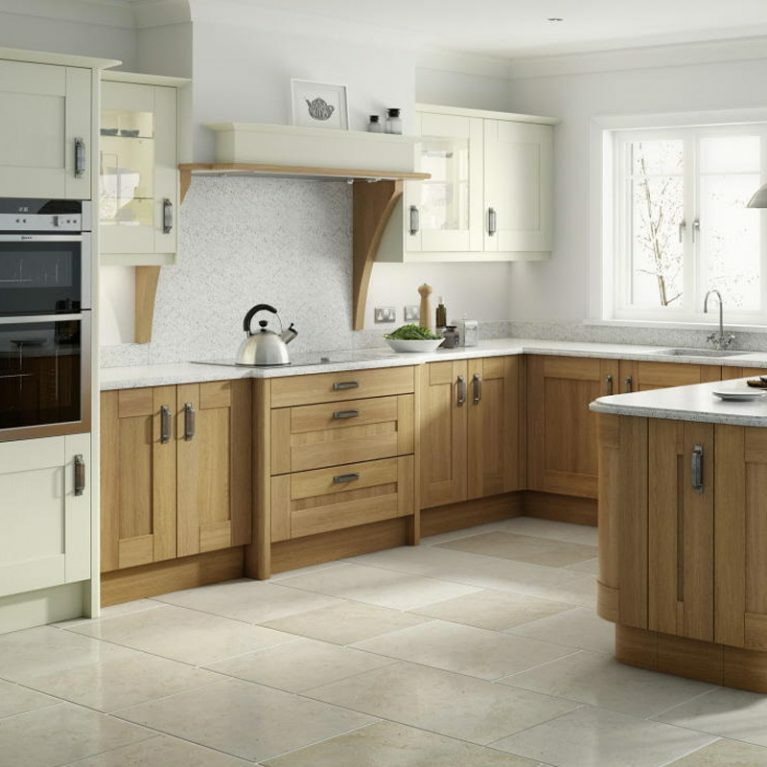 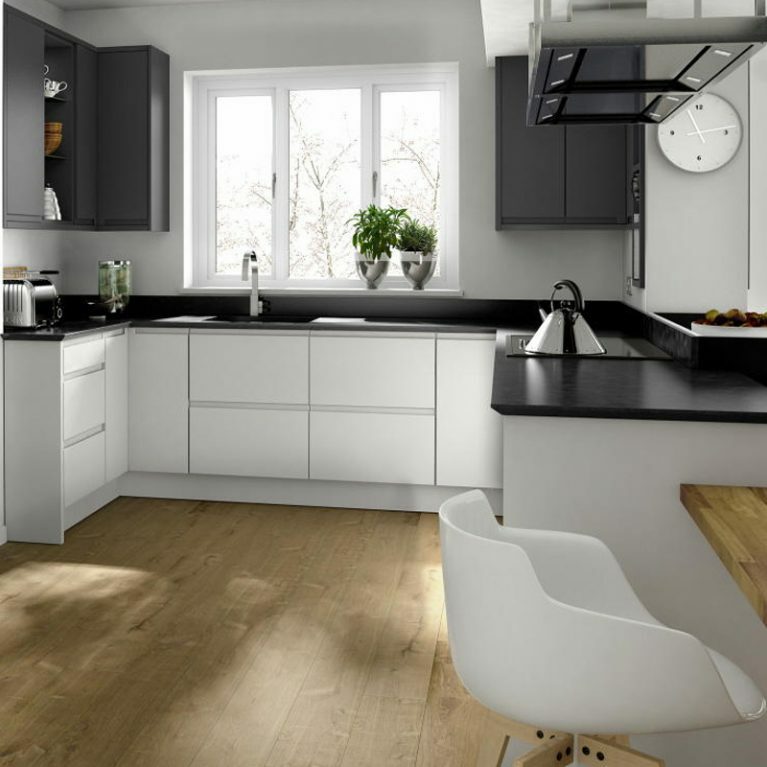 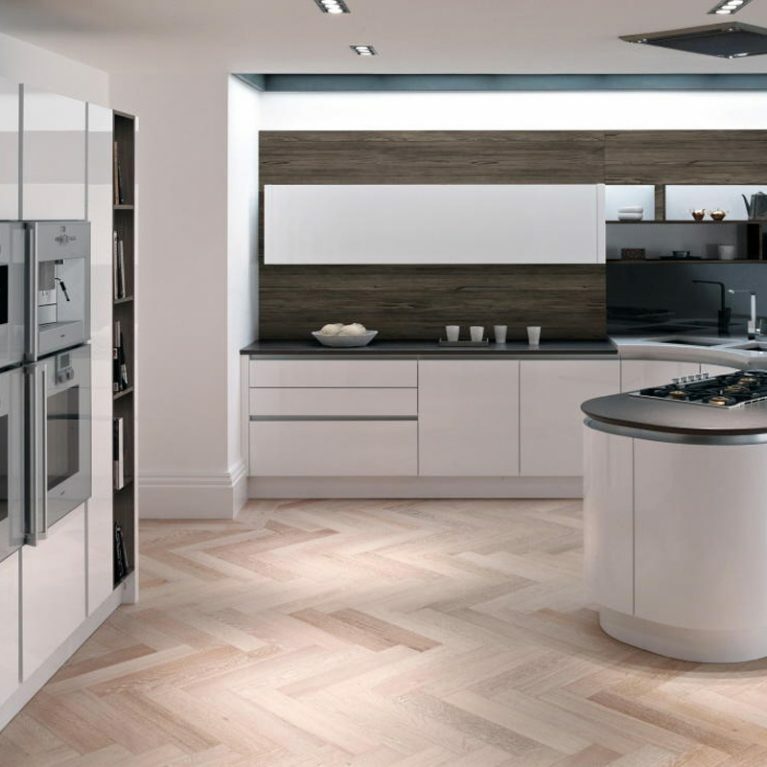 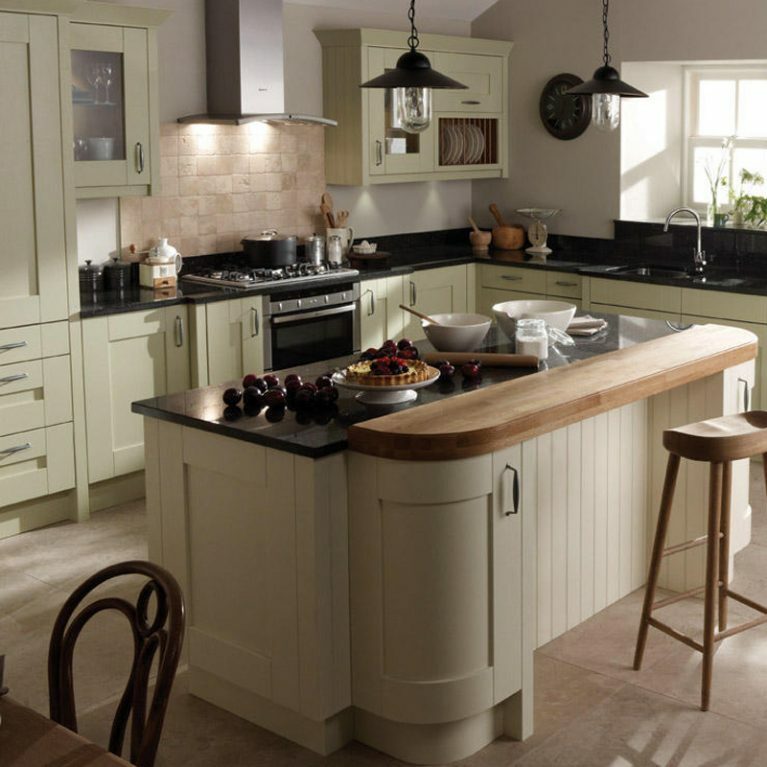 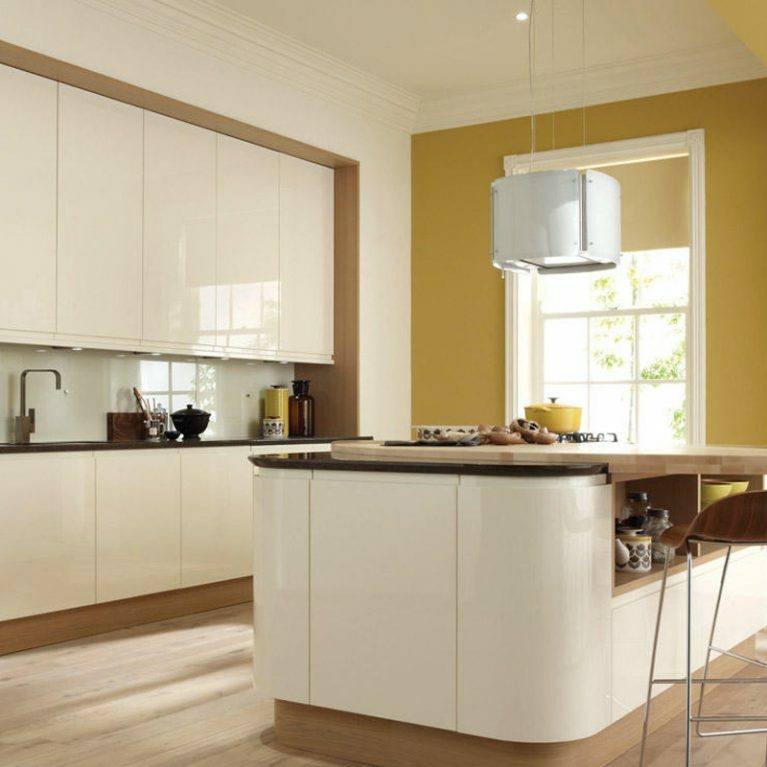 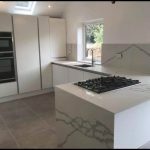 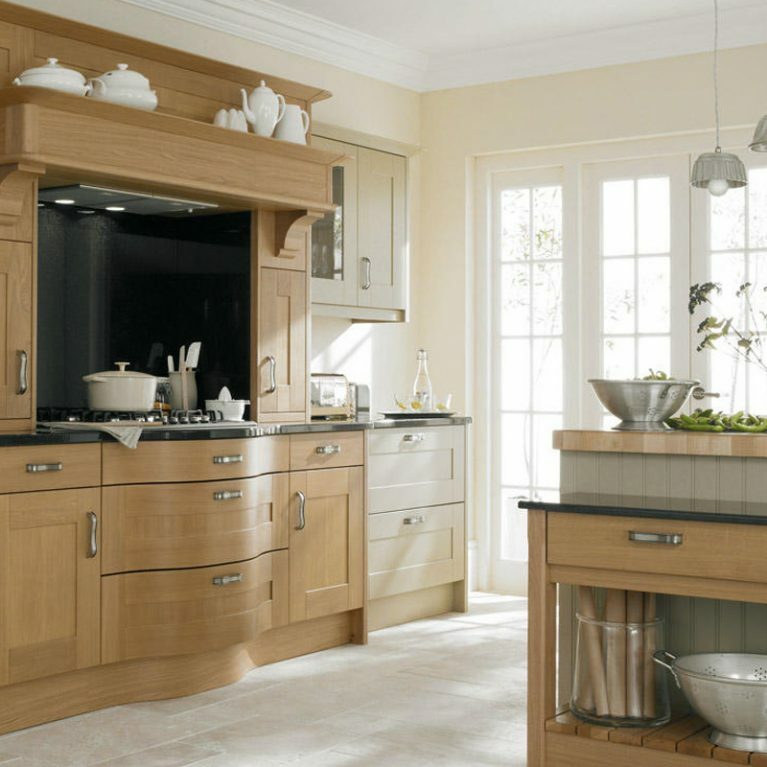 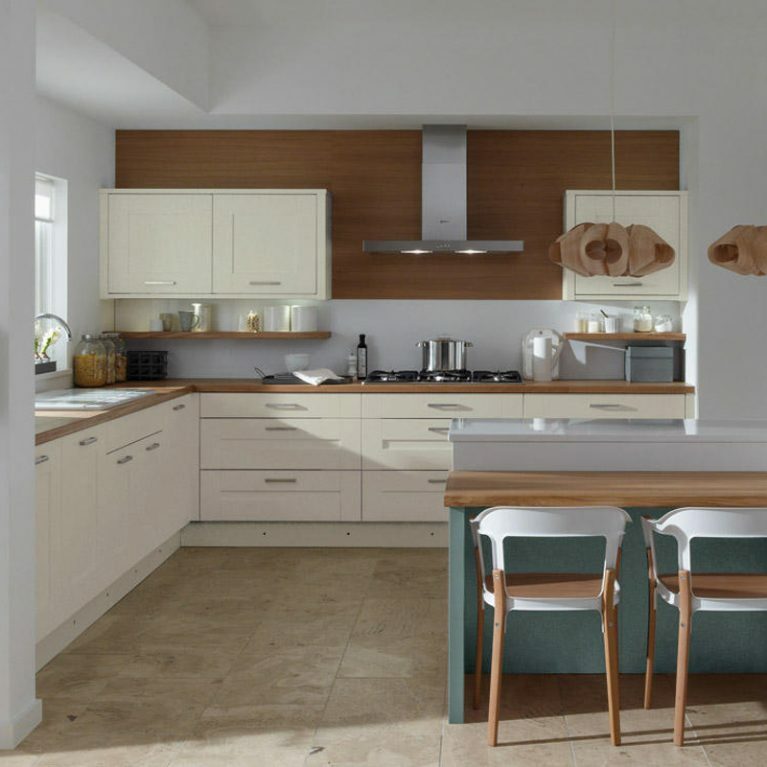 Give Number One Kitchens a call to get a quote on your dream Milbourne Chalk kitchen today.